Testing people before they are obviously ill—and before they have infected their partners—will not only move more infected people into treatment earlier, when the treatment can be most effective, but it will also prevent thousands of persons from becoming HIV-positive in the first place. AMPATH is targeting a population of 2 million people extending from cities to the most remote villages in western Kenya. AMPATH has developed a new model called Perpetual Home-based Counseling and Testing (PHCT). In this model AMPATH assigns each PHCT counselor to their own designated location. PHCT counselors take responsibility for linking those found to be HIV+ with care. With PHCT, AMPATH has a better knowledge of HIV prevalence, can monitor the impact of its interventions, help reduce the loss to follow up and can ensure care and treatment for the long term. Nearly one million people were reached through the PHCT program. Expand and increase access to HIV testing, and treatment and other health services for up to 2 million people in western Kenya, a remote region where access to healthcare is difficult. Improve public health systems and health outcomes with range of infectious and non-communicable diseases in western Kenya through Perpetual Home-Based Counseling and Testing (PHCT). Located in historic Providence, Rhode Island and founded in 1764, Brown University is the seventh-oldest college in the United States. Brown is an independent, coeducational Ivy League institution comprising undergraduate and graduate programs, plus the Alpert Medical School, School of Engineering, Executive Master of Healthcare Leadership and the IE Brown Executive MBA. Brown is a leading research university that maintains a particular commitment to exceptional undergraduate instruction. On campus, Brown’s community consists of 6,000 undergraduates, 2,000 graduate students, 400 medical school students, more than 5,000 summer, visiting and online students, and nearly 700 faculty members. Brown students come from all 50 states and more than 100 countries. Undergraduates pursue bachelor’s degrees in more than 70 concentrations, ranging from Egyptology to cognitive neuroscience. Graduate students study in more than 70 programs. The broad scope of options vary from interdisciplinary opportunities in molecular pharmacology and physiology to a master’s program in acting and directing through the Brown/Trinity Repertory Consortium. 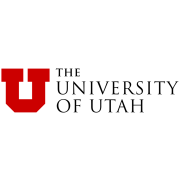 Continuing Education offers degree programs, plus credit and non-credit courses, including a Master's of Biology and an Executive MBA. Other programs include the Undergraduate Summer Session, Pre-College Program, Intensive English Language Program and Brown Leadership Institute. Around the world, nearly 90,000 Brown alumni are - in the words of Brown’s charter - leading lives of “usefulness and reputation” in every imaginable field of endeavor. Through events around the globe, reunions on campus, career resources, a host of online connections, and other services, the Brown Alumni Association fosters and supports a vibrant alumni community, wherever its members may be. Indiana University (IU) is a multi-campus public university system in the state of Indiana, United States. Indiana University Bloomington is the flagship residential, research-intensive campus of Indiana University. Its academic excellence is grounded in the humanities, arts and sciences, and a range of highly ranked professional programs. Founded in 1820, the campus serves more than 42,000 undergraduate and graduate students pursuing degrees in more than 300 disciplines. Widely recognized for its global and international programs, outstanding technology and historic limestone campus, IU Bloomington serves as a global gateway for students and faculty members pursuing issues of worldwide significance. 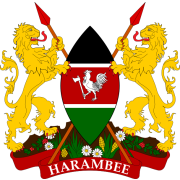 The Kenya Ministry of Health's VISION is a healthy, productive and globally competitive nation. Their GOAL is attaining equitable, affordable, accessible and quality health care for all. Mission: They heal, comfort and care for the people of our community by providing advanced and compassionate health care of superior quality and value supported by education and clinical research. 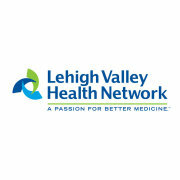 At Lehigh Valley Health Network, they continually go the extra mile to fulfill their mission to heal, comfort and care for the people of their community. Each one of their 13,000 colleagues contributes to this mission and helps make the Lehigh Valley a healthier – and better – place in which to live. Their tagline – A Passion for Better Medicine – reflects a legacy of patient-centered care that began with 13 compassionate, civic-minded women more than a century ago. Caring deeply about the health and well-being of their community, they raised $5,300 for a plot of land at 17th and Chew streets in Allentown, Pa., and in 1899, opened The Allentown Hospital. Their generous example was the first step in our health network’s journey. The inspiration for their modern-day health network came from Leonard Parker Pool, the founder of Air Products. In addition to having a brilliant mind for business, Pool also had a passion for health care and serving his fellow man. Leonard Pool realized many in his community did not have the means to travel outside the region for such care. He had a vision to create a “superior, regional hospital” so people could receive the best possible care without leaving the Lehigh Valley. He donated $5 million to help bring that vision to life, which led in 1974 to the construction of what is now Lehigh Valley Hospital-Cedar Crest in Salisbury Township, Pa. Guided by Pool’s vision, they have since transformed into one of the nation's most respected health networks, offering comprehensive care in 95 clinical specialties. This care is complemented by clinical research and education, including a medical school partnership with the University of South Florida Morsani College of Medicine that’s preparing the doctors of tomorrow. In January 2014, they merged with the Greater Hazleton Health Alliance to give residents of Northeast Pennsylvania enhanced access to special care. Its hospital, Hazleton General Hospital, was established in 1891 to provide medical care to coal miners of the region. Purdue University is a vast laboratory for discovery. The university is known not only for science, technology, engineering, and math programs, but also for their imagination, ingenuity, and innovation. It’s a place where those who seek an education come to make their ideas real — especially when those transformative discoveries lead to scientific, technological, social, or humanitarian impact. 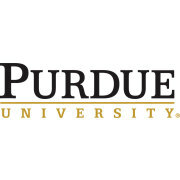 Their West Lafayette campus offers more than 200 majors for undergraduates, over 70 master’s and doctoral programs, and professional degrees in pharmacy and veterinary medicine. In addition, they have 18 intercollegiate sports teams and more than 850 student organizations. The University of Massachusetts has been providing high-quality educational opportunities for more than 150 years. It was established in 1863 as the Massachusetts Agricultural College, located in Amherst. It became known as the Massachusetts State College in 1932 and in 1947 became the University of Massachusetts. The Medical School and Boston campuses were established in 1962 and 1964, respectively. The Lowell campus, previously the University of Lowell, and the Dartmouth campus, formerly Southeastern Massachusetts University, were consolidated into the University. They offer more than 3,000 academic programs offered across five campuses. The gilded Golden Dome and statue of Mary atop the Main Building proclaim the Notre Dame campus as a place where faith is treasured and diverse traditions shared and respected. Their students represent all 50 states and over 100 countries. Rigorous academics, NCAA Division I athletics, and numerous events and activities create an environment in which their students are ignited with a passion to learn and to live to their fullest capacity. Founded in 1842, Notre Dame stands on 1,250 acres considered by many to be among the most beautiful possessed by any university in the nation. From the collegiate Gothic architecture and park-like landscape to exquisite outdoor sculpture and breathtaking views, Notre Dame’s campus is a visual splendor. Notre Dame has a unique spirit. It is traditional, yet open to change. It is dedicated to religious belief no less than scientific knowledge. It has always stood for values in a world of facts. It has kept faith with Father Sorin’s vision. A man of lively imagination, Father Sorin named his fledgling school in honor of Our Lady, in his native tongue, “L’Université de Notre Dame du Lac” (The University of Our Lady of the Lake). 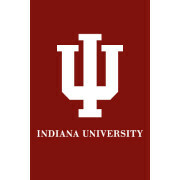 On January 15, 1844, the University was thus officially chartered by the Indiana legislature. Father Sorin’s indomitable will was best demonstrated in April of 1879 when a disastrous fire destroyed the Main Building, which housed virtually the entire University. Saying “If it were ALL gone, I should not give up,” Father Sorin employed 300 workers daily throughout the summer and rebuilt the structure that still stands today, topped by a gleaming Golden Dome. 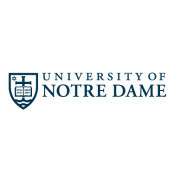 Early Notre Dame was a university in name only. It encompassed religious novitiates, preparatory and grade schools and a manual labor school, but its classical collegiate curriculum never attracted more than a dozen students a year in the early decades. The ideas and inventions that are created here make their way into the global economy in many ways, through start-ups, small businesses, commercialization and partnerships. You can see U of T members engaged in community projects, our faculty experts in the news, and over 500,000 graduates spread across 140 countries. The University of Toronto's strategic priorities provide a framework around three areas of focus for the U of T community. The three priorities are our commitment to achieving the goals set out in the University's Towards 2030 plan: to enhance and strengthen our standing as a globally ranked research powerhouse and leader in research-intensive education. Whether it's lectures, concerts, museums, gardens, or Broadway-quality theatre, campus is chock full of exciting things to do nearly every day of the year. Their primary goal is to provide pathology related services to health care practitioners and their patients. They are reputed for their innovation, professionalism and quality of service. They are committed to remain Southern Africa’s foremost laboratory, we have consistently served the medical community with quality results and careful attention to client needs and requests. They are well-known for our accuracy of testing, rapid turn-around time and industry leading data-processing support systems. 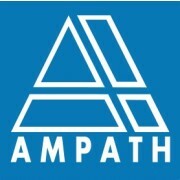 Ampath provides a variety of management and support services to the clinical laboratories. The laboratories of the various Incorporated Practices offer over 200 different diagnostic analyses. They operate 24 hours a day, 7 days a week and serve approximately 40% of the private healthcare market in South Africa. Their extensive national network of more than 150 facilities includes reference laboratories, regional laboratories, satellite (STAT) laboratories and service depots. They perform over 75,000 clinical analyses daily including referrals from elsewhere in Africa and abroad. They serve a diverse group of over 16,000 clients, medical practitioners, as well as insurance, governmental, managed health care, industrial organisations and other pathology practices belonging to the National Pathology Group.